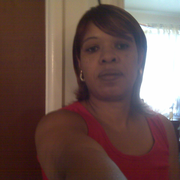 I'm a Mother of four adult Children and grandmother of thirteen and great-grandmother of three!! very loving and caring supported of my children and other people needs... I have a great authentic personality ! I once worked in health care from 1997 to 2010 until I injury myself on the job, most of my jobs are from Cincinnati, Ohio. Venetta doesn't have any reviews yet.